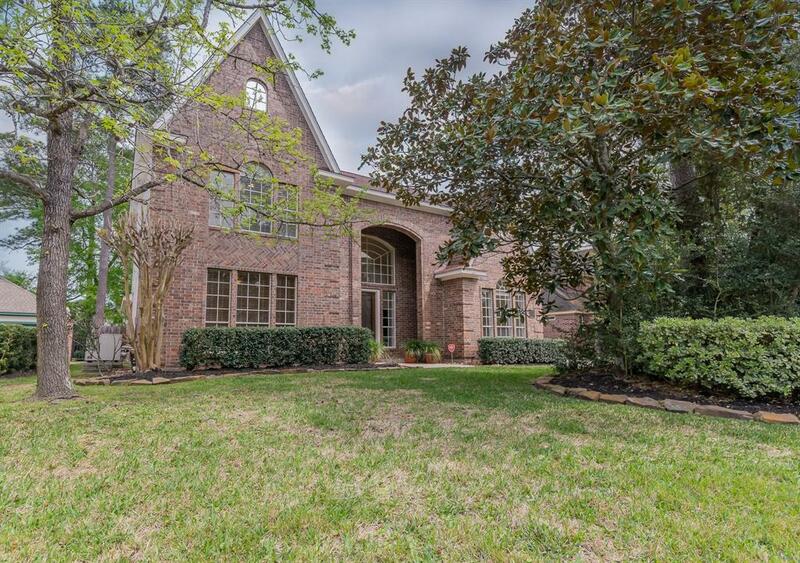 Beautifully UPDATED custom family home in Shadowpoint surrounded by greenbelt with neighborhood pond; walk to Shadowbend Park, David Elem, Collins Intermediate & zoned to College Park HS. Spacious backyard, patio and deck with small pond with waterfall and pergola and several sitting areas. 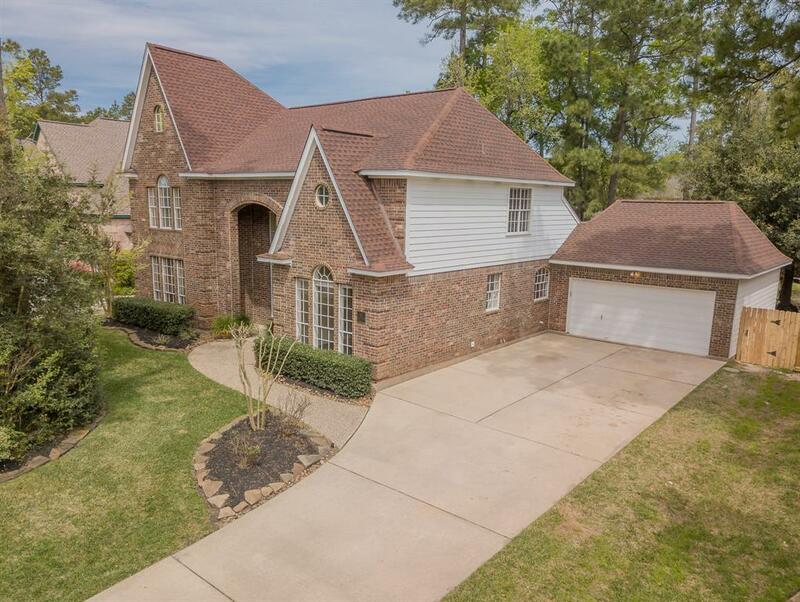 Impressive 2-story entry w/amazing windows that brings in abundant natural light. 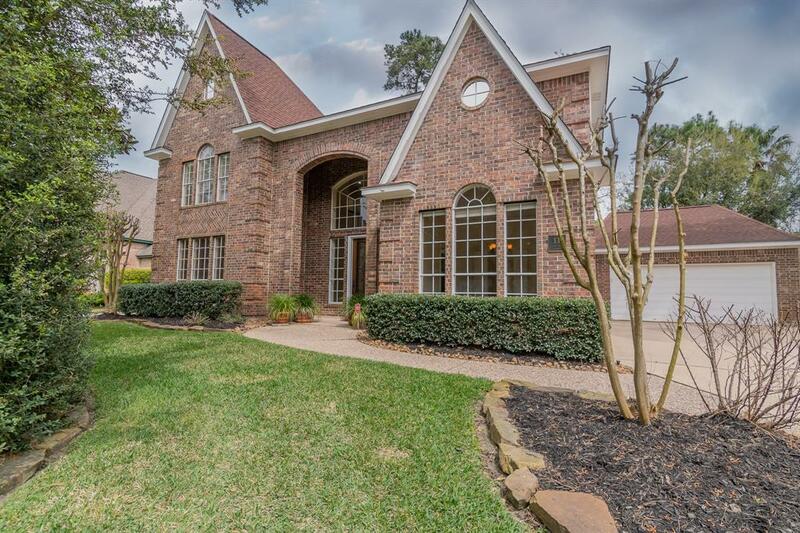 Hand scraped wood floors throughout downstairs, extensive crown molding & millwork details. Large executive study w/built-in bookcase & storage. Spacious island kitchen open to the family room w/granite counter tops, tile floors, solid wood cabinets, stainless steel appliances and electric induction cooktop. Wall of windows with view to patio and backyard. Master retreat on first floor/master bathroom updated with glass shower and two closets. Private patio off master bedroom. 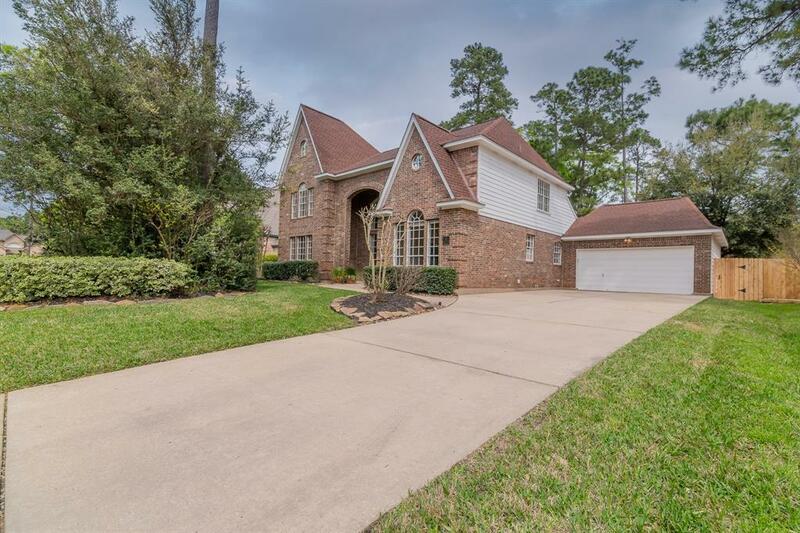 Large game room with built-in bookcase and storage upstairs w/3 bedrooms, 2 full baths (one Jack/Jill style). New carpet and paint upstairs. Listing courtesy of Richards & Assoc. Real Estate.